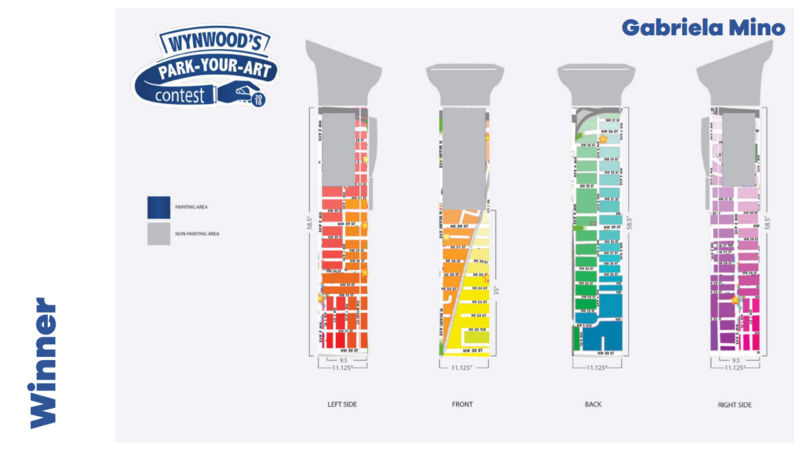 The seven winners of the fifth edition of Wynwood’s Park-Your-Art contest will get their creative juices flowing to turn parking machines into pieces of art on Saturday, November 10, 2018, when they will paint their artwork live before the public. 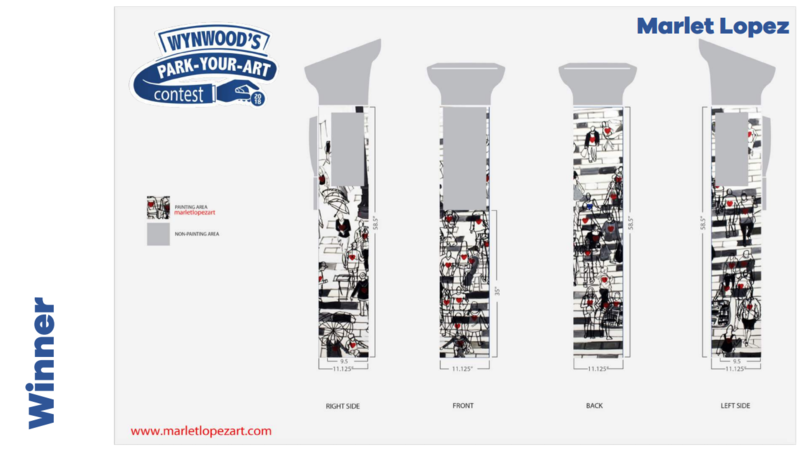 The winners will each be assigned one parking machine in Wynwood, which will be their canvas for the day. Artists will start painting at approximately 8:00 am and will work until they are finished. In addition, for the first time, there will be a community painting event where families, friends, and visitors can enjoy a fun day of music, ice cream, hot dogs and free canvas painting with all materials included. This colorful Canvas Fiesta will take place in Wynwood at 2312 North Miami Avenue. The event will run from 1:00 pm until 8:00 pm. Please join us to kick off this new version of Park- your- Art for everyone! 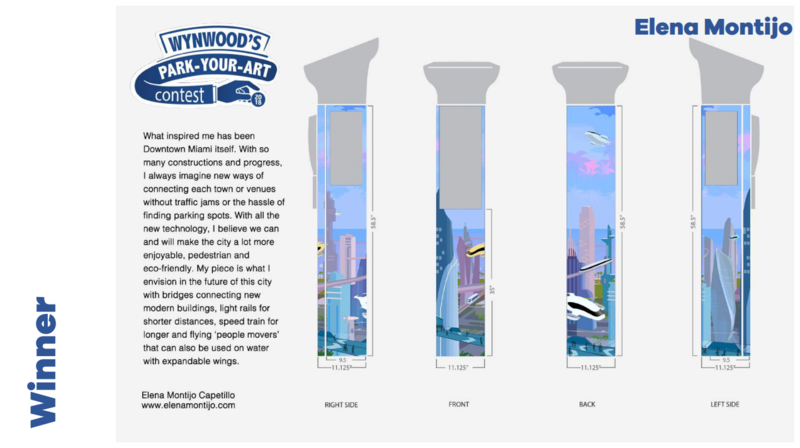 The Park-Your-Art project is the brainchild of the Miami Parking Authority (MPA) in collaboration with Beefree Media. 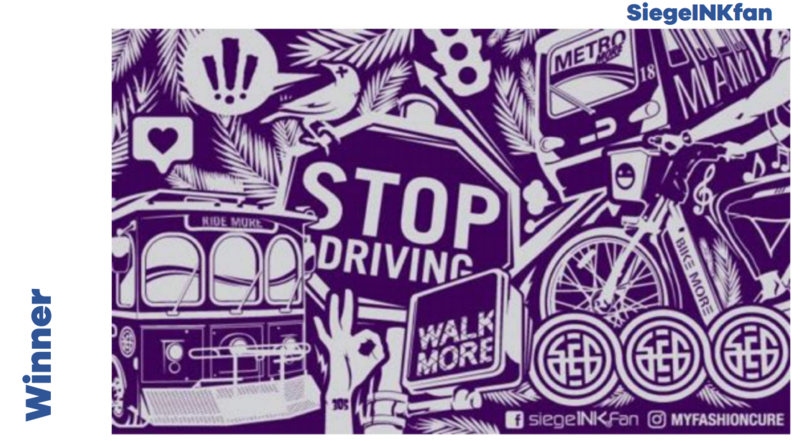 This project, which expands the Wynwood Business Improvement District is part of MPA’s ongoing efforts to create parking machines as art in public places, in hope that this project serves as a point of inspiration for public art initiatives throughout Miami. With the goal of beautifying our community, Park-Your-Art allows local artists to gain visibility by adding liveliness to an often- overlooked device. The parking machines will be covered with an anti-graffiti lamination to protect the designs, which will remain on display through Miami’s Art Basel 2018 season and until next year’s contest. “The purpose of the Park Your Art program is to beautify the community as well as foster opportunities for people to enjoy art in public places, while allowing emerging and established artists to flourish,” said Alejandra Argudin, Chief Operations Officer. 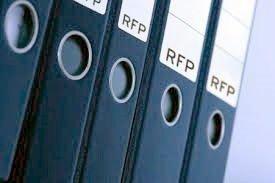 As a partner of the Wynwood BID and as a leading-edge parking organization, the MPA is pleased to support worthy community initiatives that are aligned to its core values of innovation, growth and economic development. 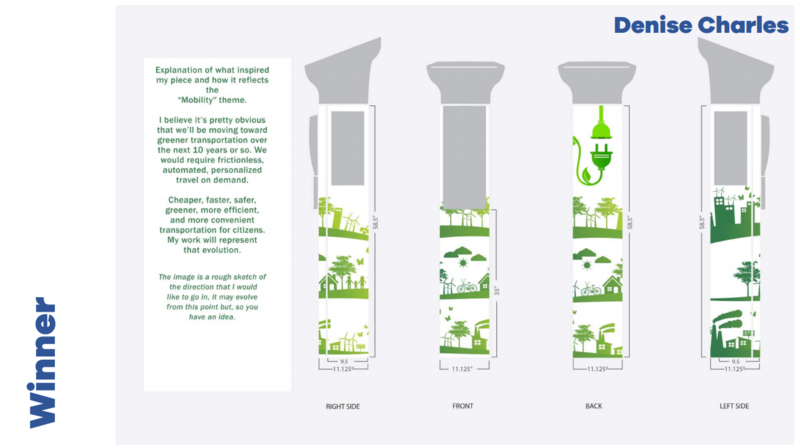 This year’s thematic approach is predicated on the artists’ vision for mobility in Miami in the next 10 years. 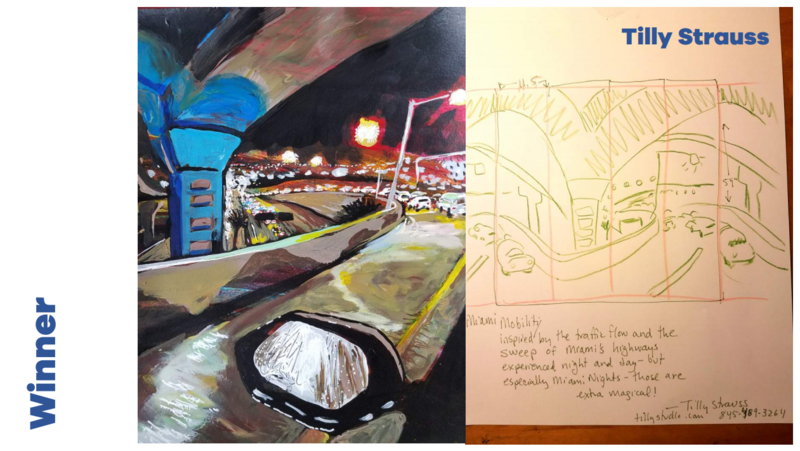 For several weeks, the contest seeked the participation of emerging and established artists who submitted their original artwork proposals and shared their thoughts about this year’s theme. Winners were selected based on originality of content, technique and creative interpretation of the theme.